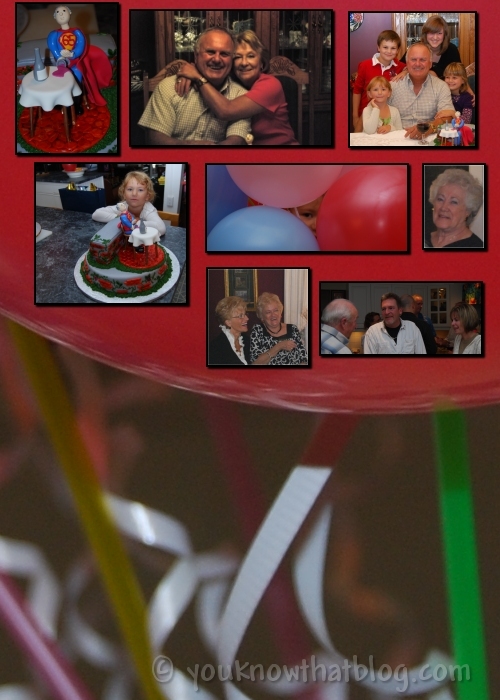 This weekend we celebrated my Dad’s 65th birthday – A great time was had by all. Please spend some time visiting the wonderful Mosaics at Little Red House’s Mosaic Monday! Ooh, I do like your mosaic. I am in awe and envy of those who have figured out this photography craft. I LOVE this mosaic..and I read on below about your special father…pretty cool and that cake sounds AMAZING. .-= pam´s last blog ..Mosaic Monday =-. Great mosaic, hon…. Seeing “Wee One” aside that cake gives a little perspective on its size!! Holy crow! .-= Thom´s last blog ..The Inkblot Test, Hurricane Ike – Before And After Pictures, Choosing A Wife and First Woman On The Moon =-. What a great mosaic! And a happy belated birthday to your dad. Love the cake! .-= jeanne´s last blog ..Boston Public Library-Mosaic Monday =-.